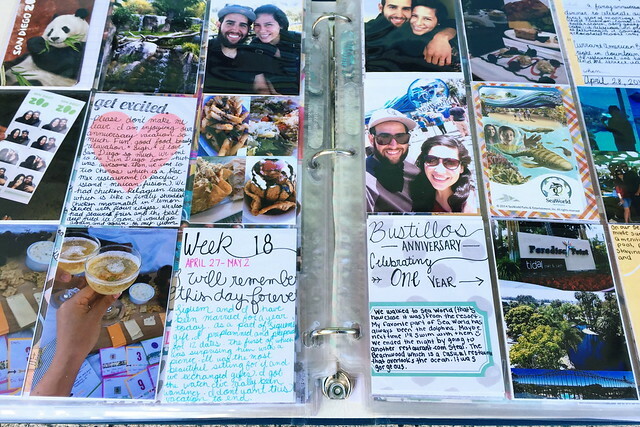 Jessica Rodarte: 8 1/2 x 11" pocket scrapbook idea // guest post! 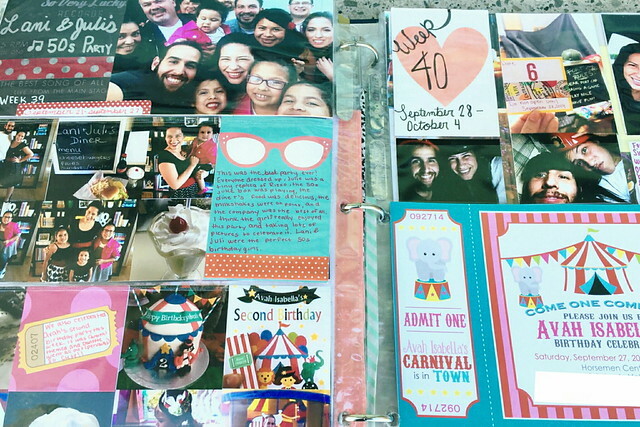 8 1/2 x 11" pocket scrapbook idea // guest post! This is another special, guest post by my friend (and sister ;) Jasmine. I invited her to share her method of memory keeping with you. (See her first guest post: 12 Dates // Valentine's Day or Anniversary Gift Idea here). Hello again! We interrupt your regular programming to bring you this special announcement: Jasmine has finally [for the most part] completed her 2014, pocket scrapbook album. Jessica has asked me to write another guest post this week about my preparation for my 2015 album, so I hope you're not tired of me, yet! I am still catching my breath from 2014 only to realize that we're already a solid week into March. Time is seriously flying, but I would like to take a little bit of time to share my approach for this year’s album. I started documenting my memories for the first time the year of my wedding. I had seen my sister’s scrapbook for years, and I had also dabbled in paper crafting here and there, but I didn’t start memory keeping on a consistent basis until 2013. 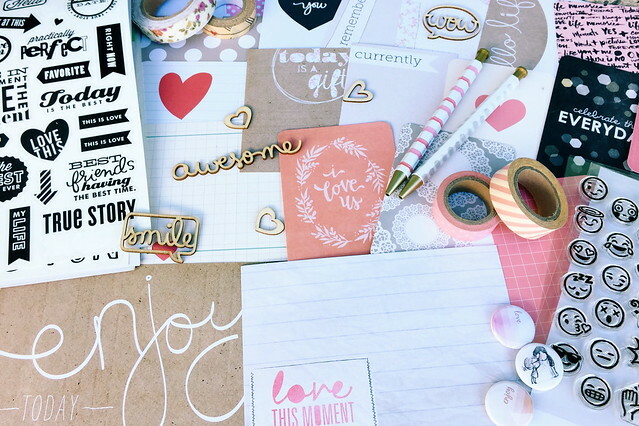 I think it really helped that I had stumbled upon a method of scrapbooking that suited my lifestyle and allowed me to start, step away, and come back to a project at any time. 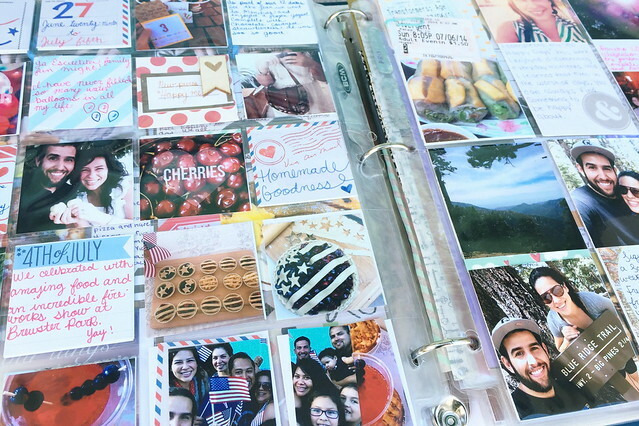 Pocket scrapbooking makes it so much easier in my opinion because you can work with one 3x4" space at a time and in the end you have a collage of captured memories for the week. I will be sticking to an 8 1/2 x 11" sized album for a third year in a row for 2015. I initially chose the size of my album because I was unsure how committed I would be to recording my memories, and hello, a 12x12" album must mean a serious commitment. But seriously, I thought I would start small (figuratively and literally) and test the waters. The cost of scrapbooking had also deterred me from memory keeping in the past so I was looking for a relatively inexpensive alternative to the traditional 12x12" albums that are typically used for project life. Jessica had mentioned that I could use an 8 1/2 x 11" three-ring binder since they are a dime a dozen and introduced me to these baseball card holder page protectors which are extremely economical. It turns out I love it! I do have to cut down my journaling cards a bit and my page layout options are slightly more limited, but I am so happy with my albums. I have been asked if I would ever switch over to a 12x12" and I think that once my family begins to grow, my album size will most likely grow right alongside it. At times it is tedious to have to resize my pictures to make them fit into a smaller sized scrapbook and it probably defeats the purpose of a “print-and-go” method, but I am beyond satisfied with the end result. My plan is to stick to the travel-size album during these childless, married life years until I don’t have the time to resize my pictures ;) Honestly, I also want to be able to distinguish this time of my life from the family albums (complete with little ones) that I hope to have in the future. I think the most important part for me has been finding the time to document the moments that are precious to me – both the special occasions and the ordinary moments that I probably would have forgotten otherwise. I couldn't be happier with my decision to take the leap and start small in the world of pocket scrapbooking. I hope you venture out and try something new as well!